Tradition and revelation are often seen as opposites: tradition is viewed as being secondary and reactionary to revelation which is a one-off gift from God. Drawing on examples from Christian history, Judaism, Islam, and the classical world, this book challenges these definitions and presents a controversial examination of the effect history and cultural development has on religious belief: its narratives and art. 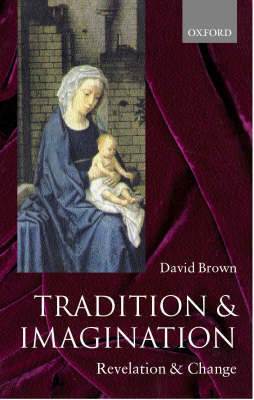 David Brown pays close attention to the nature of the relationship between historical and imaginative truth, and focuses on the way stories from the Bible have not stood still but are subject to imaginative 'rewriting'. This rewriting is explained as a natural consequence of the interaction between religion and history: God speaks to humanity through the imagination, and human imagination is influenced by historical context. It is the imagination that ensures that religion continues to develop in new and challenging ways.